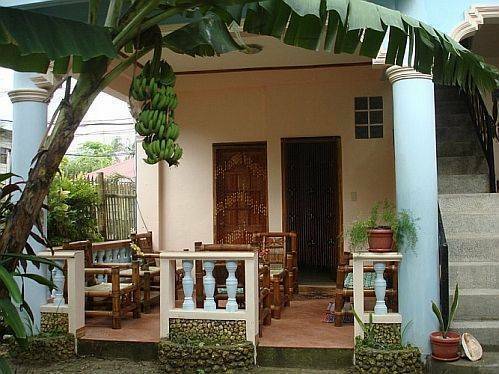 Budget Guesthouse and Nipa Hut Cottages, close to White Beach Boracay ! 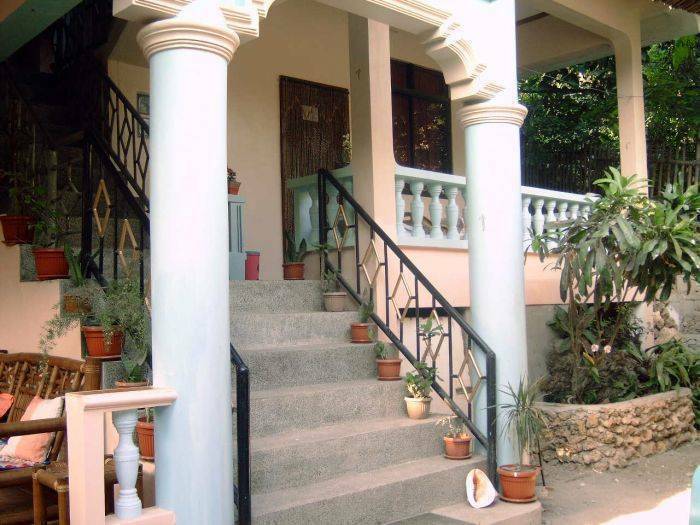 Clean, secure and quiet surrounding - near Station 3 Boracay ! 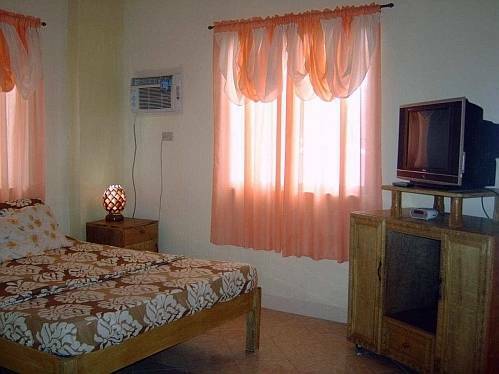 Ocean Breeze Inn is a family managed Inn It`s a walking distance around 2 - 3 minutes walk from White Beach Boracay located in Station 3, in a quite and secure surrounding. Central Boracay is only 15 minutes walk from Ocean Breeze Inn ! The Guesthouse has 3-1/2 floors. Groundfloor/1st/2nd/3rd/Rooftop. All rooms has 1 aircon/ventillator room, Satellite-TV, Radio, hot/cold water Shower/WC. 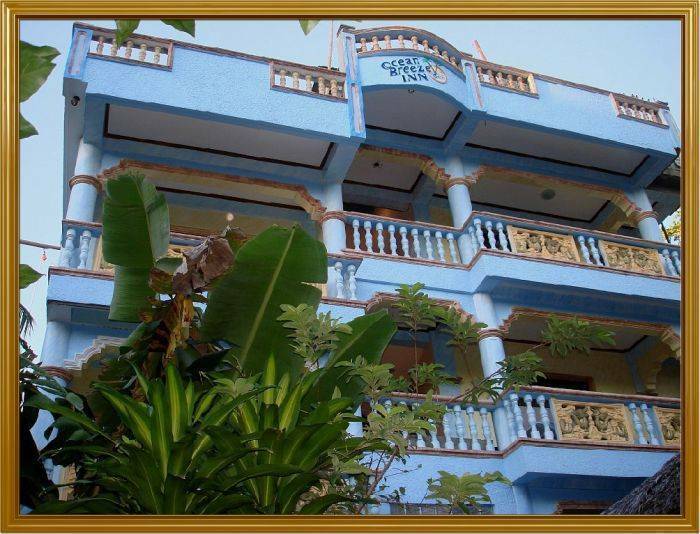 1st and 2nd floor of Guesthouse has Aircon Rooms at each floor with double bed or 2x single beds, aircon, Satellite-TV, Radio, private bathroom with hot water shower / WC and balcony. Certain bigger rooms (with double bed or queens bed) have additional refrigerator, DVD player, saftey box etc. All room rates are offered for 2 guests per room or a family room. For additional guests we charge an extra amount per guest. We have centralized cooking facilities for our guests. Bicycles and notebook for rent ! Internet access in all rooms per request. We serve free coffee in the morning ! American/Filipino/Continental Breakfast (optional) per request. Pick up service from Kalibo or Caticlan available upon request. We also have a liason officer in Manila to assist our guests. Cottages Tracy and Yasmin have Queens Bed, Shower / WC, Sat/Cable TV, Radio, ventilator and broadband internet access (per request). Each cottage is big enough for 2 adults and 1 child. Cottages have been renovated in 2008. 1 cottage has additional double deck bed. Internet access available. Guesthouse 1st floor has 2 aircon rooms with double bed or 2 x single bed, TV, Radio, hot water shower /WC and balcony. Centralized cooking facilities available for our guests. Kitchen has .. beside plates, cups, pans, pots all needed equipment like rice cooker, microwave, oven, mixer etc. Bicycles and Notebook for rent ! 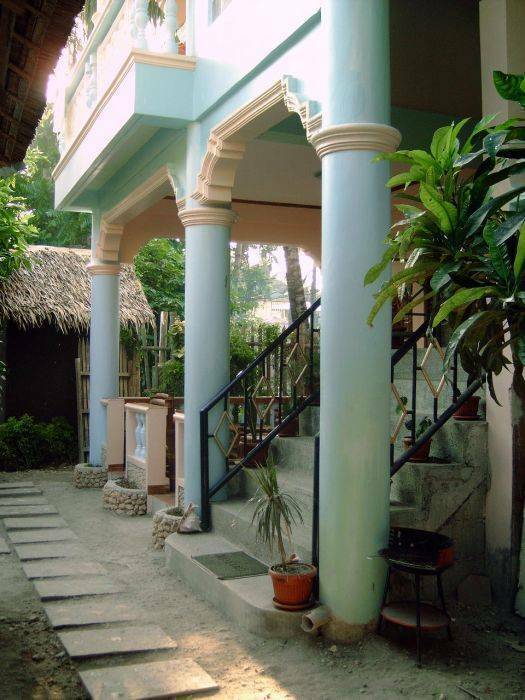 Ocean Breeze Inn Boracay is located at Station 3 area, close to White Beach. It`s in a secure and quiet surrounding - well known Boracay resorts in our close neighborhood. Rate depends on season, duration of stay and number of guests. * Cancellations made up to 14 days in advance of arrival - No charges will be made. * Cancellations made on or after 14 days in advance of arrival - First night cost payable. * Cancellations made on or after 7 days prior to arrival date- Full booking cost payable. * Early departure - Full booking cost payable. * No Show - Full booking cost payable. Boracay, Station 3 area, close to White Beach Boracay. You can find signboards to our Inn at White Beach, Station 3, at from Arwana Resort on .. or at the Main Road .. near Mandala Resort. But we also offer pick up service from Caticlan / Kalibo Airport. Just contact us 1 week before arrival to arrange details. We offer pick up service from Kalibo or Caticlan upon request. It`s recommended to contact us min. 1 week before arrival to decide about pick up service or if we should forward a description how to find the shortest way to us.